In July 2007, he was found guilty and sentenced to life imprisonment for the murder of his wife Rachel. JOE O’REILLY HAS been granted legal aid to pursue an appeal to the Supreme Court one year after his miscarriage of justice bid was dismissed as an “abuse of process”. 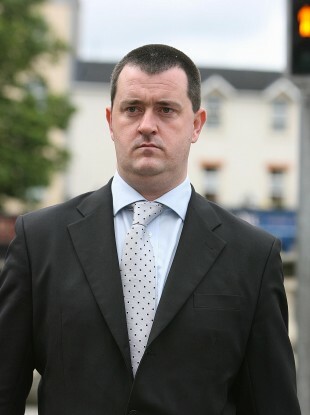 In July 2007, O’Reilly was found guilty by a Central Criminal Court jury and sentenced to life imprisonment for the murder of his wife at their home in the Naul, Co. Dublin on 4 October 2004. Rachel O’Reilly’s badly beaten body was found in the bedroom of her home by her mother and before he was charged, Joe had appeared as a guest on the topic of her death on The Late Late Show. In 2009, O’Reilly lost an appeal against his conviction and last May an application to have his conviction declared a miscarriage of justice was dismissed as an “abuse of process” by the Court of Appeal. Counsel for O’Reilly, Ronan Munro BL, sought a legal aid certificate in the Court of Appeal today for O’Reilly to pursue an application to the Supreme Court under its new jurisdiction. It was not certain that there was an automatic right of appeal to the Supreme Court, as there had been before the Court of Appeal was established, the court heard previously. In light of developments in a separate case, Mr Justice Birmingham said the Supreme Court seemed to take the view that applications for legal aid should be made to the Court of Appeal. Mr Munro told the judge that O’Reilly was serving a life sentence. As such, there was unlikely to be an issue as to his means. If the Supreme Court was satisfied that legal aid applications should be dealt with in the Court of Appeal “that’s good enough for me”, Mr Justice Birmingham said who had indicated earlier that three judges would be required to deal with the matter. O’Reilly was not in court for the procedural matter. He has been on legal aid with a solicitor and two counsel at every stage of the proceedings, in other words, at trial, for his appeal and in the Court of Appeal for his miscarriage of justice application. Giving judgment in the Court of Appeal last year, Mr Justice Birmingham said it was an “unacceptable strategy” to raise the arguments O’Reilly had raised at this point. O’Reilly’s application to have his conviction declared a miscarriage of justice was based on events that occured on the third day of his Central Criminal Court trial when a portion of the book of evidence was found in the jury room, the judge said. It was clear, from the way in which the issue was approached by the trial judge and counsel at the time, that O’Reilly was fully informed and fully engaged with what was happening, he said. Having been so aware and so engaged, to raise the argument now after the trial and after his earlier appeal, was an “unacceptable strategy,” Mr Justice Birmingham said. Accordingly, Mr Justice Birmingham, who sat with President of the Court of Appeal Mr Justice Seán Ryan and Mr Justice John Edwards, dismissed the appeal. As a result, O’Reilly’s application under section 2 of the Criminal Procedure Act did not proceed to full hearing. O’Reilly lost an appeal against conviction in 2009 while in August 2012 he failed in a subsequent attempt to have his conviction quashed after arguing his detention in the Midlands Prison was unlawful. In November 2012 O’Reilly was granted legal aid in his bid to have his conviction declared a miscarriage of justice. Section 2 of the Criminal Procedure Act 1993 states that a person who remains convicted after appeal may apply to the court to have their convictions quashed based on alleged new of newly discovered facts that show a miscarriage of justice occurred. However, senior counsel Brendan Grehan, for the Director of Public Prosecutions, successfully applied to have O’Reilly’s application dismissed as an “abuse of process” because it was not based on any new or newly discovered facts as required under the Act. Email “Joe O'Reilly granted legal aid to pursue Supreme Court appeal”. Feedback on “Joe O'Reilly granted legal aid to pursue Supreme Court appeal”.